Weather Delayed Charter Turns Out Lots of Fish! 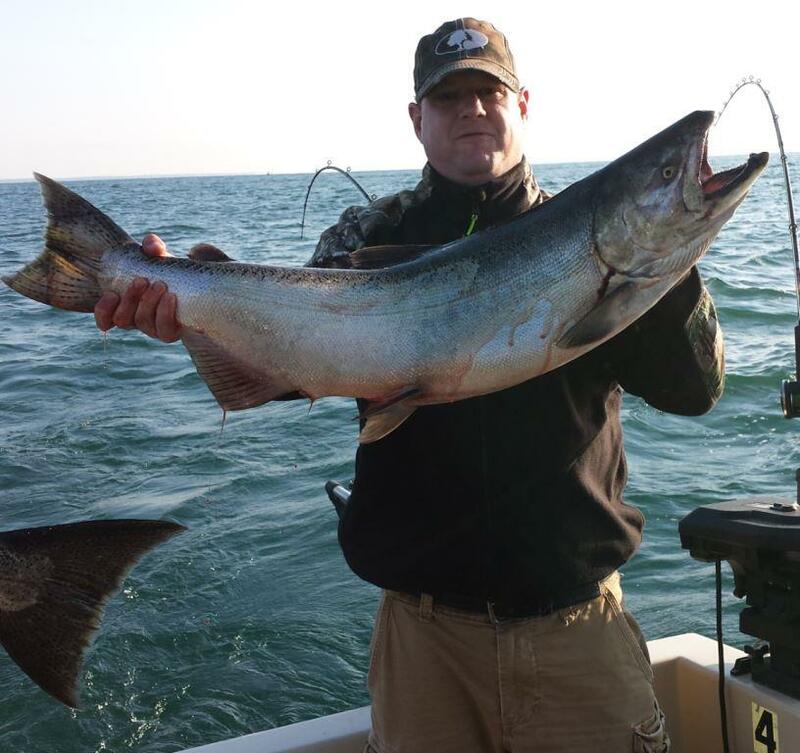 Lake Ontario was not cooperating on the morning of July 18th when it came to the fishing charter booked by the Ken Hosmer party. High winds and rough seas delayed the full day charter but with weather predictions of the wind laying down, the fishing crew regrouped a few hours later and went out fishing. The full day charter turned into a half day charter, but it certainly did not matter when it came to hauling in the fish! This fishing crew managed to catch 8 Kings, 1 Steelhead and 1 Lake Trout during their shortened day of fishing. It is certainly safe to say that this day turned out pretty good for this group of fishermen chartering with Milky Way Fishing Charters! Friday the 13th Turns Into a Lucky Day for Steve Thompson and Grandson, Noah! Yes, it was Friday the 13th and Steve Thompson and grandson, Noah, chartered with Milky Way Fishing Charters and turned the day into a good luck day for them when it came to catching fish. Kings Make the Day for the Kevin Peachey Party! On Sat., June 30th, the Kevin Peachey party of 5 went fishing with Milky Way Fishing Charters which was the 2nd voyage out on the Albemarle 280 Express. And once again, fish were caught aboard this boat.